Last Sunday I asked my readers to pick an experience for me to embark on. Whichever option received the most votes I would then do and write about today. I offered up three options: visiting a palm reader, playing 72 holes of putt putt golf in one day, or taking on an ice cream eating challenge. With my mom nixing the palm reading idea and with it raining yesterday, I was left with the ice cream challenge. 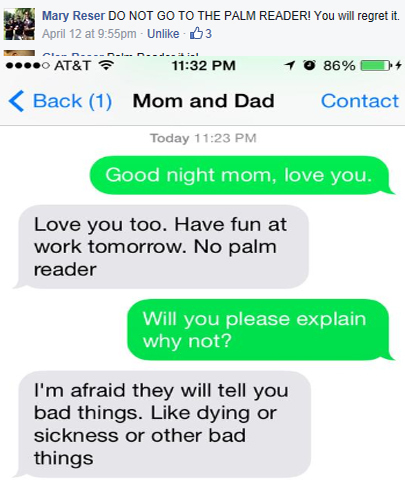 My apologies to my readers for my mom’s veto, you definitely preferred that I visit the palm reader. Although most people wanted me to visit a palm reader, my mom requested that I didn’t. She first responded on my Facebook post and then I had her clarify why in a text message. On Saturday I returned to O.D. Pavilion Ice Cream, the same parlor I visited in July. At the time of my first visit I had aspirations of completing the store’s Waterdog Challenge. However, because of nerves, a full stomach, and a cowardly mindset I caved under the pressure as I passed on attempting the challenge. This time around with my intentions already published on this blog, I had no choice but to man up and do it. I took this photo of O.D. Pavilion when I visited in July. Sidney and I walked inside O.D. Pavilion Ice Cream at around noon. Right away I already felt more comfortable than the previous time. No one except for one store employee was around. If I was going to embarrass myself, it was just going to be in front of two people. The young girl greeted us and I told her that I wanted to do the Waterdog Challenge. 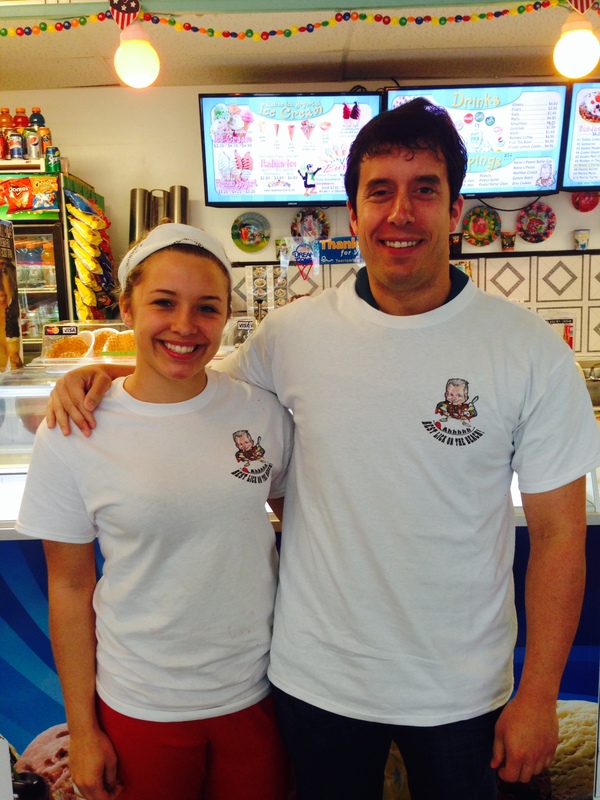 She remarked that we were the first customers of the day and that our order was a great way to start things out. 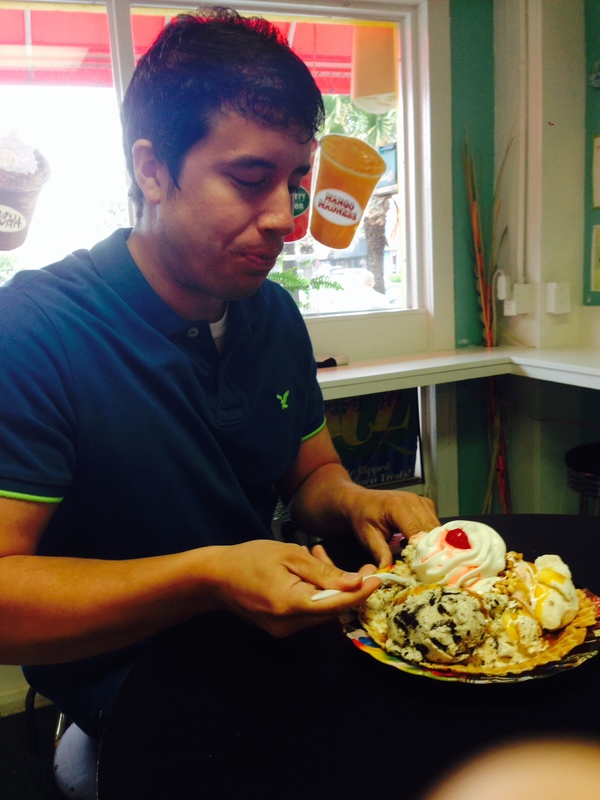 So the Waterdog Challenge is SEVEN scoops of ice cream and FIVE toppings on a waffle plate. The kicker is that you must finish it in FIVE minutes. The employee got to work on creating my giant sundae. 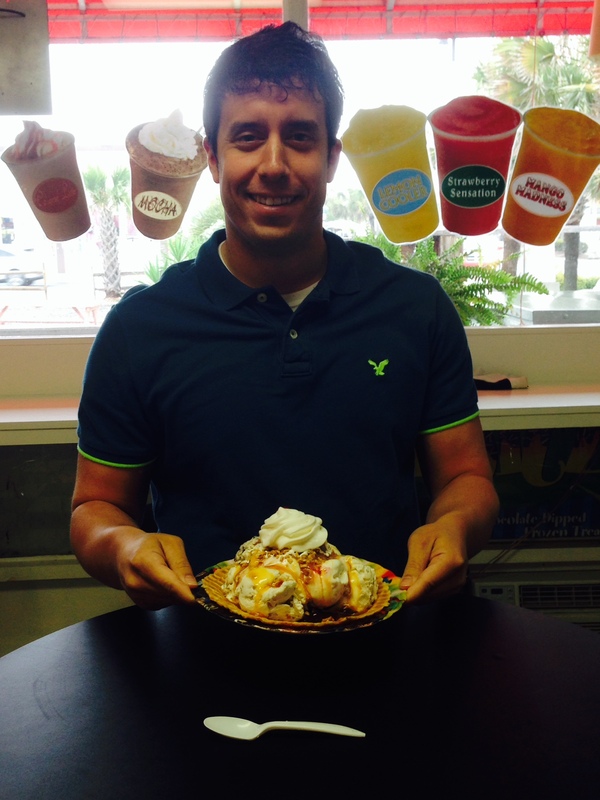 She first had me pick out my souvenir plate that the waffle plate and then the frozen dessert would go on. I chose a Spiderman one. She then had me pick out my ice cream. I went for two scoops of chocolate chip cookie dough, two scoops of banana pudding, one scoop of cookies and cream, one scoop of strawberry cheesecake, and one scoop of chocolate. For toppings I went for butterscotch, caramel, marshmallow, hot fudge, and, because you had to have at least one solid topping, peanuts. The very nice O.D. Pavilion Ice Cream employee making the Waterdog Challenge. Seconds before I started the challenge I took a photo with my nemesis. After the first bite I was thinking there is no way you can possibly do this. My spoon went so deep into the dessert and the ice cream felt so hard that it seemed like this would be an impossible task. I told myself that I would have to save face and do the absolute best I could so that I would at least put in a respectable performance. I started to eat as fast as I possibly could. The very start of my effort to eat all that ice cream. By this time, my tongue and the roof of my mouth were both completely numb. There was no more enjoyment. It was all about completing the challenge. I thought I was keeping pace but as the four minute mark approached, I knew I was going to have to turn it up to conquer the Waterdog. Something that you have to know is that you are given a rinky-dink plastic spoon to eat with and you are not allowed to use your hands. 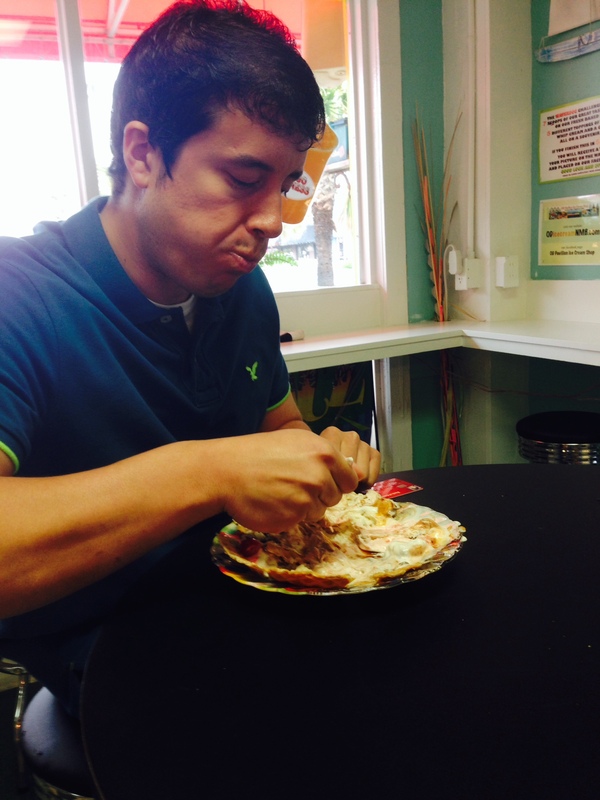 You must consume the entire waffle plate and doing that with just a spoon is not an easy task. With time running out and with a decent amount of ice cream to go along with a stubborn waffle layer, I flipped a switch. I did my best to respond under pressure. Knowing that it would come down to the final seconds I went all-in. I literally ate like I had never ate before. 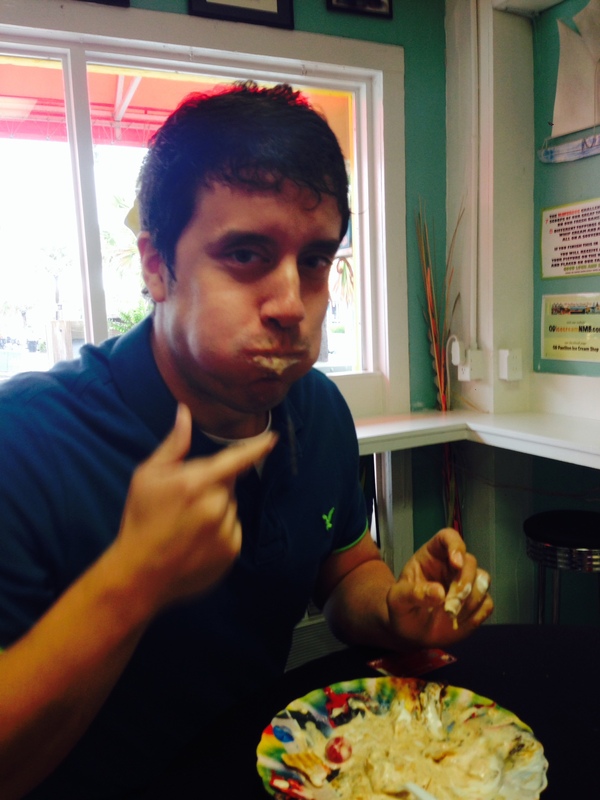 Ice cream was going all over my face as I shoveled it into my mouth. With about 20 seconds to go, the girl gave me permission to use my hand to help guide the waffle pieces into my mouth. With the ten second countdown on, I gave it one last push. My very last bite! The final push was intense. “I’ll give it you,” the compassionate and nice O.D. Pavilion employee said as her timer went past the five minute mark. The very nice O.D. Pavilion employee who administered my Waterdog Challenge. You can easily see that I grew fatter immediately after completing the challenge. Those words felt like music to my ears. Besides a couple small waffle pieces, the cherry, and some melted ice cream, I had given the Waterdog all it could handle. Sidney remarked that she probably wouldn’t have declared me a winner but then again she is not in the ice cream business. My new best friend asked me for my t-shirt size and cleaned off my souvenir plate. We posed for photos and I walked out of O.D. Pavilion feeling triumphant. 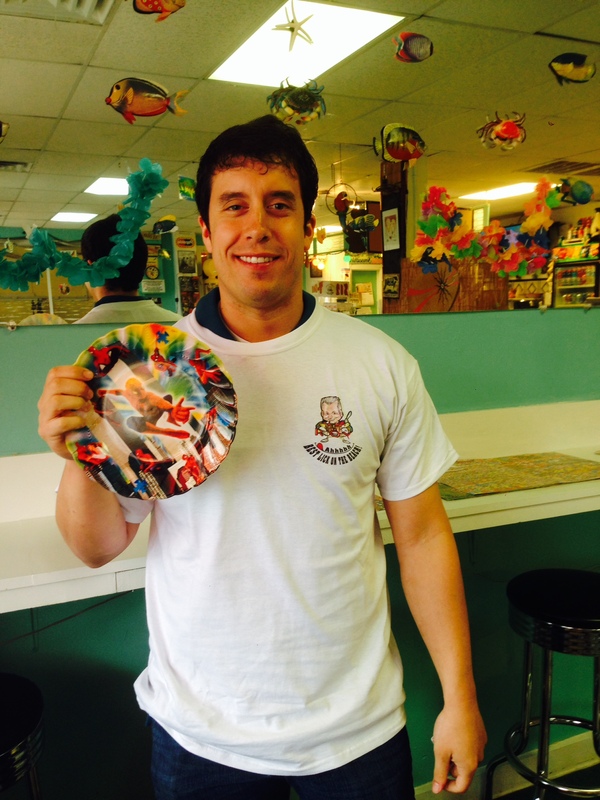 Wearing my victory shirt while holding my Spiderman plate, I felt very accomplished. As for the aftermath, my tongue soon went back to normal. The roof of my mouth, however, stayed numb for a few hours. My stomach felt like it had expanded quite a bit (not too much though that I couldn’t enjoy a couple celebratory beers). Surprisingly the answer is no, I never experienced a brain freeze during the challenge. Sitting here the day after I can say that I am fully recovered. Whether I feel more pride or gluttony for completing the Waterdog is still up for debate. I don’t anticipate participating in another eating challenge in the foreseeable future. Thank you Sidney for cheering me on and thank you to O.D. Pavilion Ice Cream for letting me participate in the Waterdog Challenge. Don’t Blink. This entry was posted in Uncategorized and tagged North Myrtle Beach, O.D. 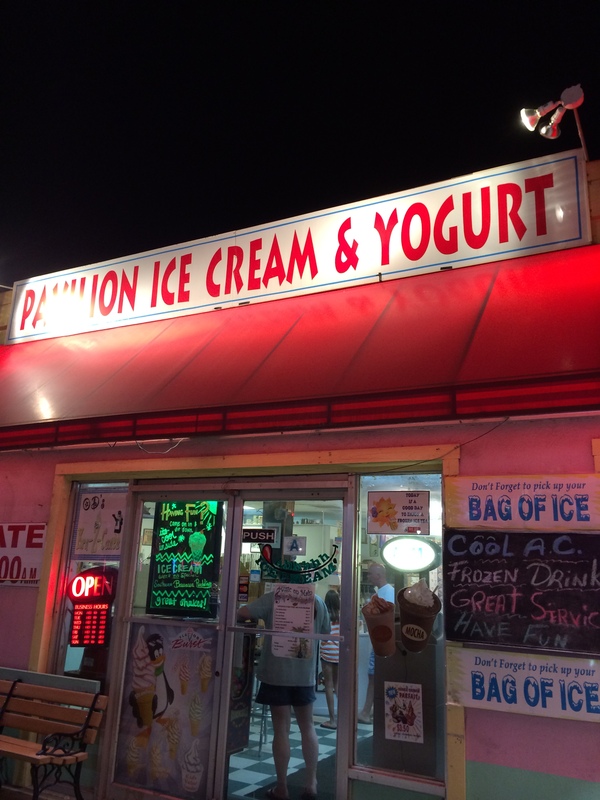 Pavilion Ice Cream, O.D. Pavilion Waterdog Challenge, Waterdog Challenge by brent. Bookmark the permalink.